My experience in Japan as a solo female traveler on a budget. 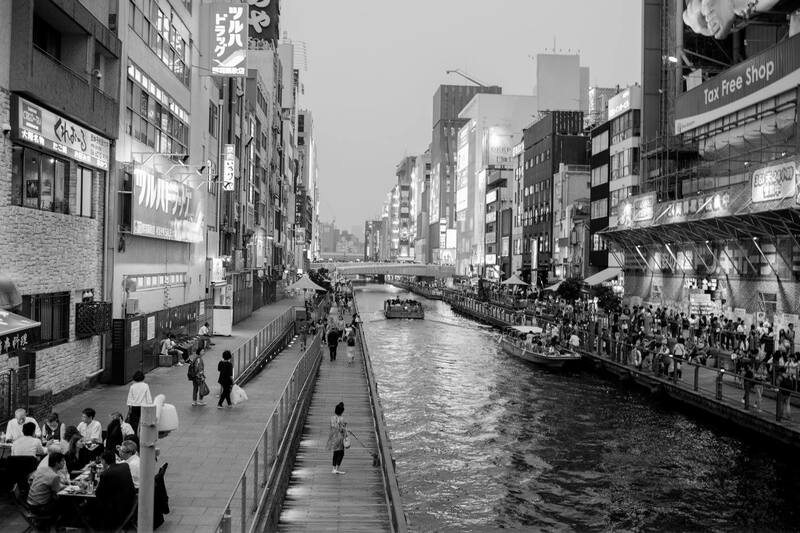 I had always been fascinated with Japan and its culture, having grown up on Miyazaki films and having a mother with an avid passion for Japanese art and literature. We have both been intrigued by the Japanese mentality ever since I can remember, more particularly by their attitude towards nature and the animal world. I had traveled to Japan a few times already with my father, who also really enjoyed Kyoto’s traditional-looking streets and temples, as well as the Izu peninsula’s beautiful forests, but had never gone there alone. So, I decided that it was time for my first solo trip. 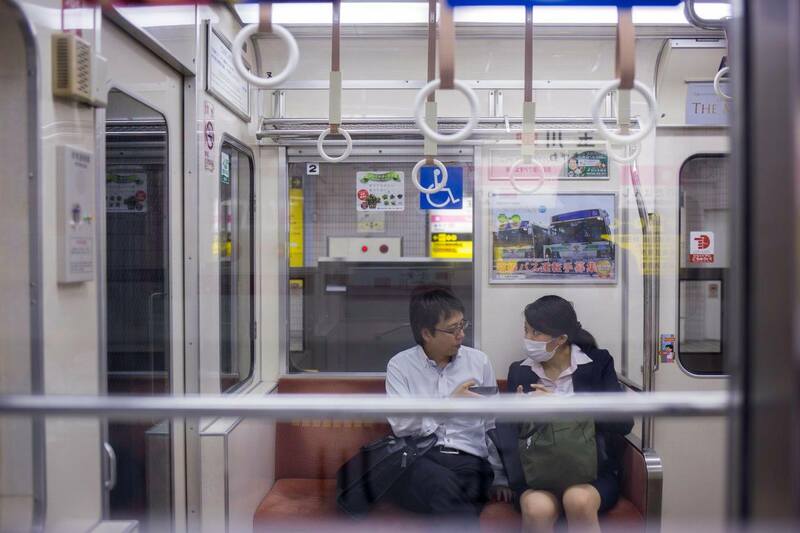 After doing some research on travel guides, blogs, and forums (Japan Guide, Lonely Planet, Vivre le Japon…), I came to realize that Japan is probably one of the safest countries to travel alone in as a young woman, which comforted me in my decision. 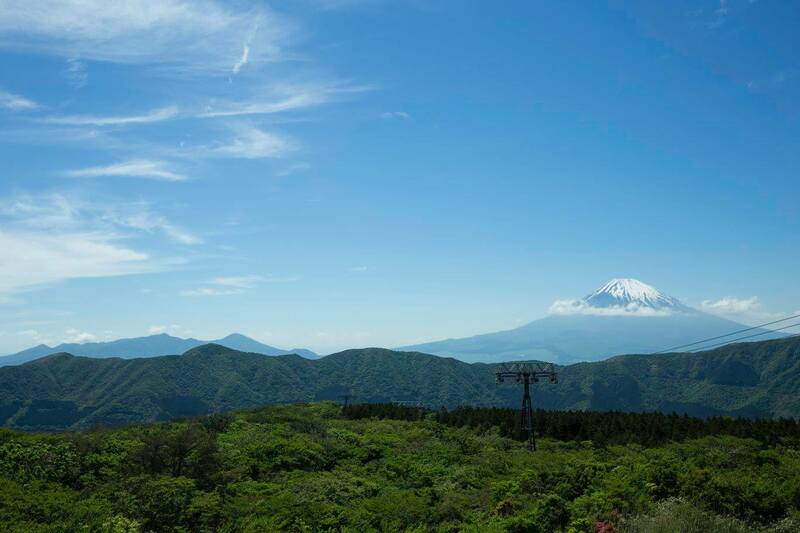 I wanted to give myself room for adventure and improvisation, while still having some sort of idea of where I was going, which led me to a very rough itinerary: I would start in Tokyo, then head to Hakone (a hot-spring-town close to Mt. Fuji), then to Nara (the deer island and former capital of Japan), followed by Kyoto, Osaka, Hiroshima, and all the way down to Okinawa, the southernmost island of Japan. Finally, I had decided to make one my last stops in Tottori-- a small prefecture on the coast of the Japanese sea-- after being inspired by Shoji Ueda, a Japanese photographer both my father and I admire immensely, who was born and raised in the small prefecture and did a whole series on the infamous dunes of Tottori, the only large sand dunes of Japan. Despite having this rough itinerary, I did not want to be bound to any plan, but to be free to make decisions on a whim. So, before starting my journey I had only booked my flight, Japan Rail Pass (dire necessity for a foreigner traveling in Japan), and my first hostel in Tokyo. As my departure date was approaching, I was getting increasingly doubtful: would I be able to do this? Do I have what it takes? Will I regret it and feel terribly lonely? As most solo travelers tell you, these doubts ran out of my mind as soon as I got on the plane, armed with my backpack. At that moment, I came to the appeasing realization that there was no need to fret, for once I arrived I would simply do it. Funnily enough, the very first hostel I had booked was located in the French neighborhood of Tokyo, Kagurazaka, which I wasn’t aware of (at the amusement of the hostel worker). I had made it a point to travel on a budget, and therefore to only stay at hostels. The very first thing that struck me was the quality of living in these hostels: always clean, safe, organized, tidy, and comfortable despite the modest sleeping capsules, and for only 20€ per night on average. This, coupled with the price of food (you can get a delicious meal for an average of four Euros), definitely makes the expenses spent on transportation worth it. My first few days in Tokyo, a city I already knew fairly well, brought a strong sense of peace to my mind: I felt at home, like a local. Walking the streets, going grocery shopping, going out with acquaintances I had run into by chance, and tanning on the roof of the hostel, rather than feeling the pressure to visit and revisit the temples and museums I already knew. As soon as I left Tokyo to start my journey through the rest of Japan, the beauty of solo traveling started to hit me. On the train, not having anyone to talk to made me very aware of my surroundings and extremely observant. Every little detail became poetic and meaningful: the way people talked, walked, waited in line to get into the train, the landscapes outside the train windows, the smells, colors, and behaviors of passengers were like a book I had just opened. In Kamakura, my first stop after Tokyo and home to the enormous Buddha statue, this struck me again as I sat down on a rock to contemplate the Buddha in all its glory, meditate, and write about what was in front of me, while hoards of tourists jumped in front of the statue, selfie-stick and camera in hand. Once I had made my way to Hakone, I finally experienced the beauty of being alone in a hostel. In Tokyo, everyone is constantly out and about, including myself, which didn’t make for great bonding experiences with other solo travelers. Neither did staying in tiny guesthouses filled with Japanese tourists in both Kamakura and Enoshima, which were my two previous stops before the hot-spring town. Because Hakone is so small, with not much to do but the Mt. Fuji tour, and because the hostel was so great, I met a ton of lovely people who have now become friends: we played cards, drank, discussed Japan, our travels, our own cultures, and even went on the Mt. Fuji trip together. Of course, there are also some downsides to traveling alone as a young woman. In most instances, solo travelers tell you that being alone opens the door to many experiences and encounters you would otherwise miss if traveling in a group. This is still true of Japan, as I was approached by backpackers, and even the occasional young Japanese for a chat. However, traveling alone in Japan can get a little intimidating, since it’s really difficult to communicate. In Kyoto, for example, I decided to go up to a funk bar where live music was playing, and as I was sitting on the five-seat bar trying to make conversation, I struggled to make myself understood. Still, I took some photos of the man sat next to me, he tried my camera, and we laughed. Sometimes, universal language works too, though I was at times a bit frustrated at the lack of interaction and conversation I was experiencing with locals. At times, I did feel particularly lonely, especially after Hiroshima. As it does with many, the memorial museum put me in a really bad place emotionally, of which I still felt the remnants two stops down the road, in Okinawa. There, even though I got to spend days on an empty, paradise-looking beach on the tiniest island right next to Taiwan (Tokashiki island), I found myself getting drunk and crying on a beach at night thinking of the world’s horrors, wishing I could share that with someone who had seen it too. In terms of safety, I can honesty say that I didn’t feel in danger at any point of the trip, and that I did not fear once for my belongings; people leave their bags on their bikes out on the street, and don’t have locks on them, simply because respect for others is embedded deeply in Japanese culture. When the time came to go home, I was split: happy to go home, and excited for some familiarity and comfort, but also extremely sad to leave this journey and country that filled me with curiosity, excitement, and imbued my life and daily experience with much more meaning. My advice to anyone thinking to go on a solo trip but feeling fearful is to just go ahead, and worry later. It goes without saying that some countries can be more dangerous as a young woman alone, but most of the time, I would say that if you use the same care and caution you would in your hometown, and if you travel being conscious of where you are, the social norms, codes, and the culture, you will have the time of your life! Data: you can get a pre-paid Japanese sim delivered to your hostel, or catch Wifi from every Starbucks or 7-Eleven, which also works very well. Transport: NaviTime, maps.me are vital tools to get around (make sure you download your maps before losing data, otherwise you won't be able to access them!). Also, get a Pasmo, it's the equivalent of a Navigo, except you can pay with it! Food: Sushi is delicious, but try the local and often cheaper foods! (Takoyaki and Okonomiyaki are some of the best things I've ever had the pleasure of tasting). Lastly: get off the beaten path, and make a travel journal/log/diary. You won't regret it.